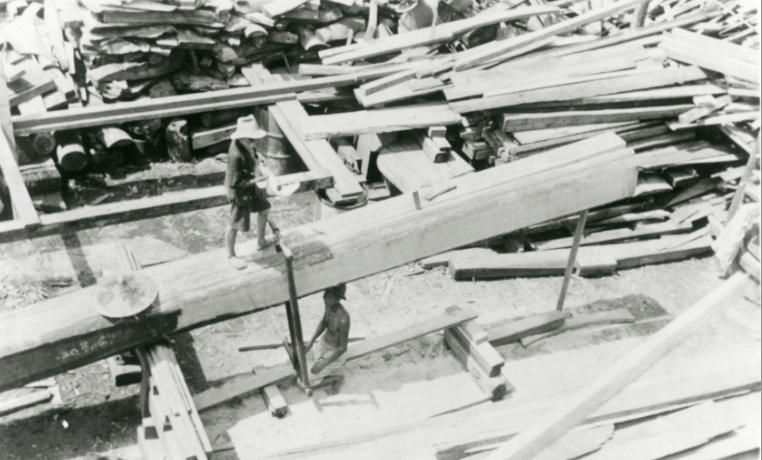 IDJ remembers seeing log sawing by hand particularly in shipyards building wooden junks and sampans but also on construction sites. Many had two or four men pushing and pulling from above and below. 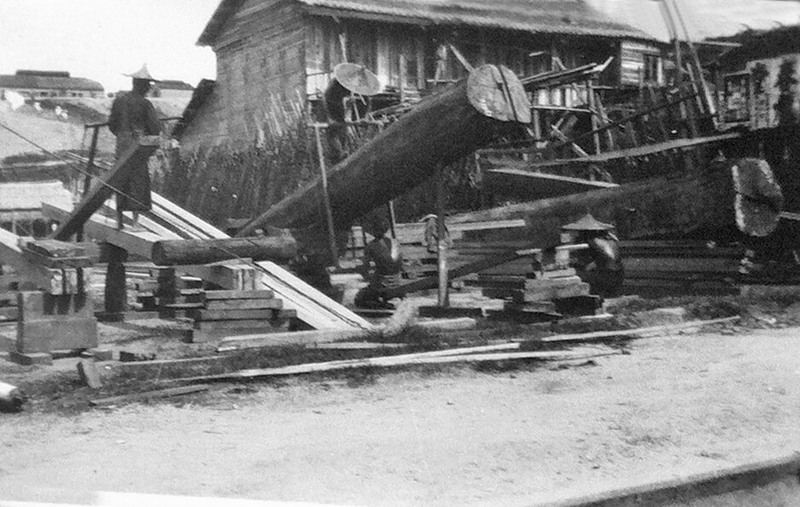 They could tear through a log surprisingly accurately and quickly. 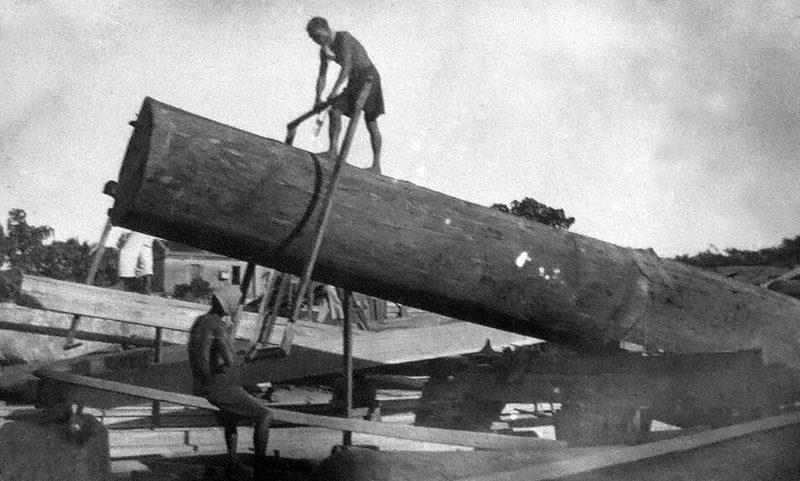 The frame’s sidebars were used to guide the saw blade in a straight line and achieve the right thickness down the length of the log. 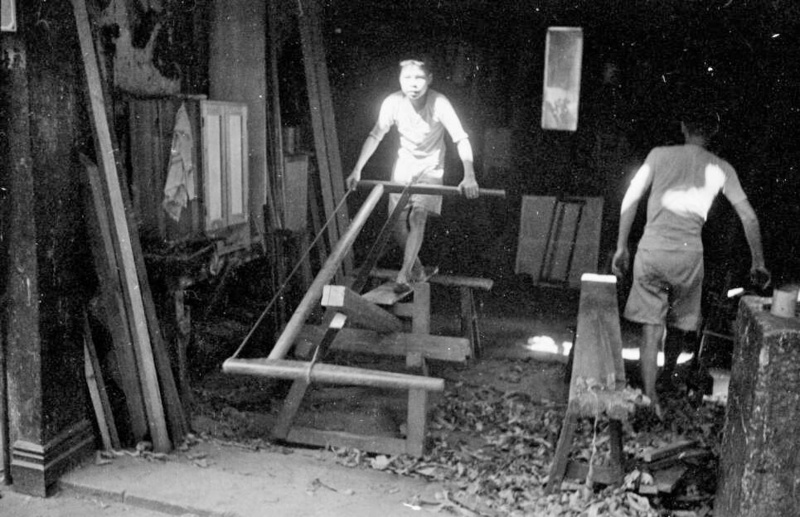 This method has since been overtaken by powered saws driven by petrol engines or electric motors and circular saws mounted in large steel bed-plates. 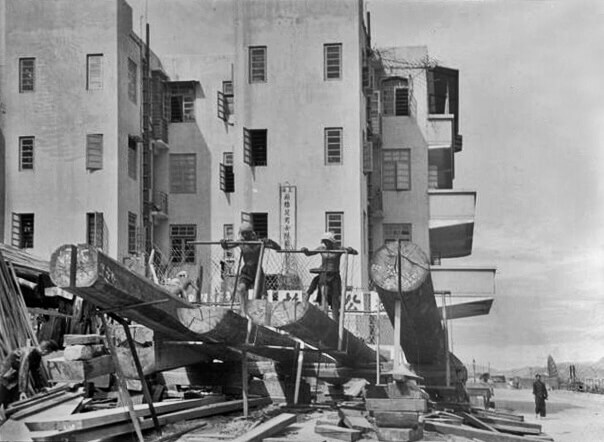 Stephen Davies: Here is the Cheng Ho luxury junk being built with one of the timbers that made up the keel being worked on, at the Ah King shipyard. 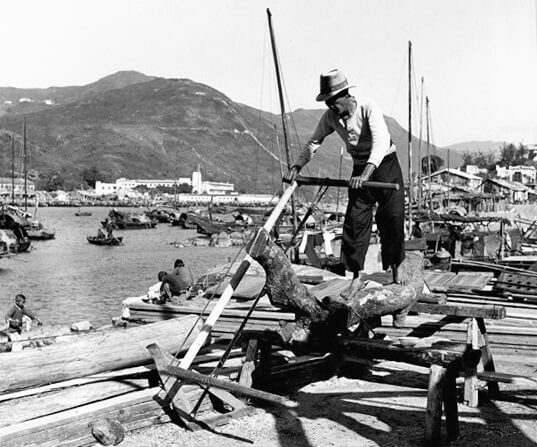 A fine example of pre-WW2 HK wooden shipbuilding. This article was first posted on January 28th 2015.